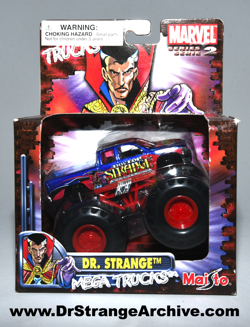 Description: This is the Maisto Mega Trucks Dr. Strange pull back power truck. This is a series 2 vehicle. 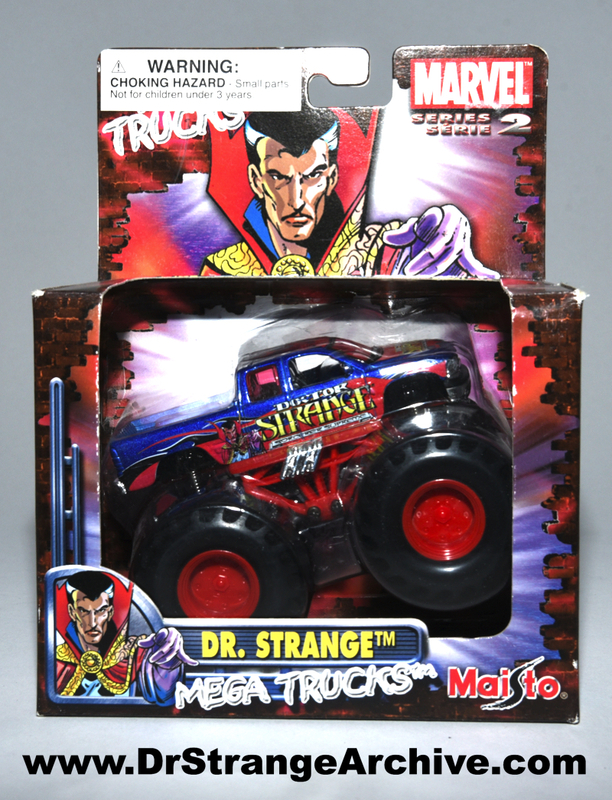 The back shows a total of 17 trucks in the series, each from a Marvel character.